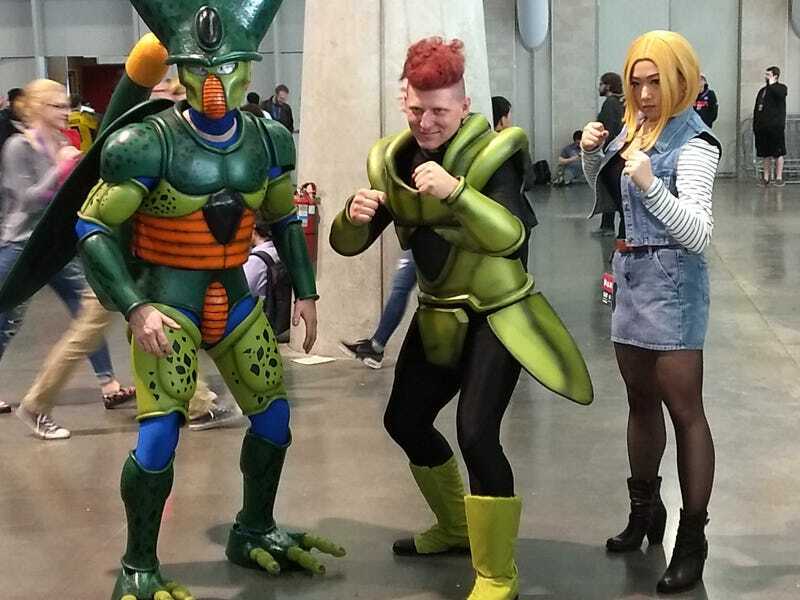 Androids 16 and 18 have made peace with Cell for the day. Androids 16 and 18 have made peace with Cell for the day. Fortunately for them, I haven’t spotted any Super Saiyans at PAX East yet.